Aishwarya Rai Bachchan won the trophy for Vogue Influencer Of The Decade while Sonam Kapoor received the Vogue and IWC Fashion Icon Of The Year award. 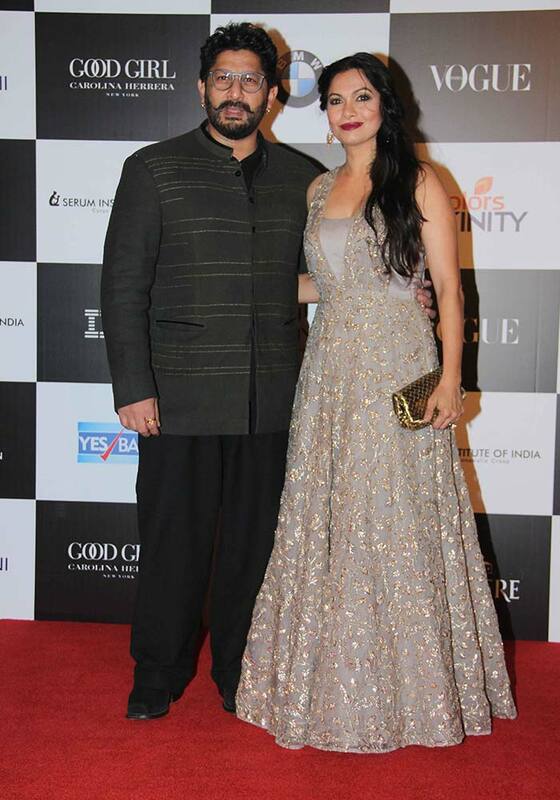 Vogue India celebrated its 10th anniversary on Sunday night by hosting the Women Of The Year Awards which was attended by Bollywood celebrities like Aishwarya Rai Bachchan, Shah Rukh Khan and his wife Gauri Khan, filmmaker Karan Johar, Anushka Sharma, Twinkle Khanna, Sonam Kapoor, Anil Kapoor, Arjun Kapoor, Kriti Sanon, Rajkummar Rao, Shweta Bachchan Nanda, Nita Ambani and Aamir Khan's wife-filmmaker Kiran Rao. The stars were at their fashionable best at the grand event and some beautiful candid moments were captured by the paparazzi. Aishwarya Rai Bachchan looked stunning in an embellished black gown as she posed for the cameras on the red carpet while Shah Rukh Khan looked dapper in a black suit. The Devdas co-stars were photographed sharing a warm hug. Aishwarya Rai Bachchan won the trophy for Vogue Influencer Of The Decade and SRK took home the Vogue Entertainer of the Decade Award. 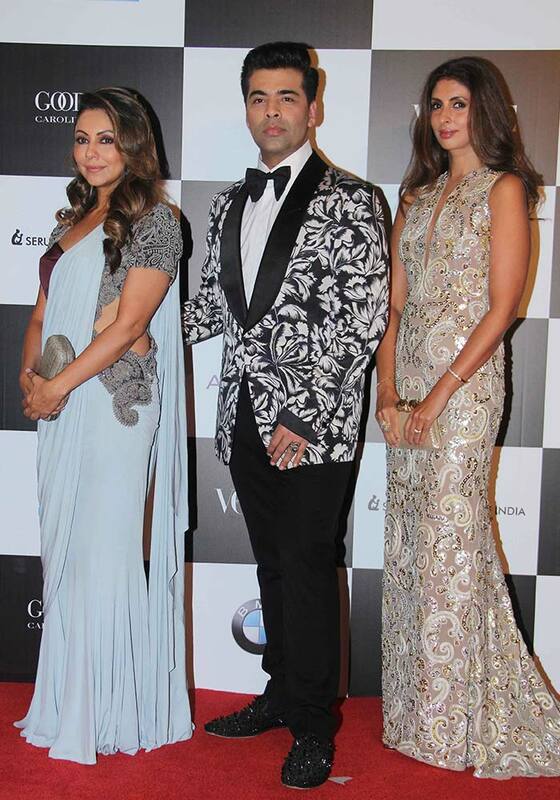 Filmmaker Karan Johar, who wore a monochrome suit by Tom Ford, posed with his 'besties' SRK's wife-designer Gauri Khan and Amitabh Bachchan's daughter Shweta Bachchan Nanda. Gauri draped a Monisha Jaising sari while Shweta opted for a golden embellished gown. Karan Johar shared a few inside pictures from the event on social media. One of the pictures posted by KJo features him with Shah Rukh Khan, Gauri, Shweta Bachchan Nanda and Kiran Rao. "We shot our own VOGUE cover!!!! This ones for you @vogueindia," he wrote. 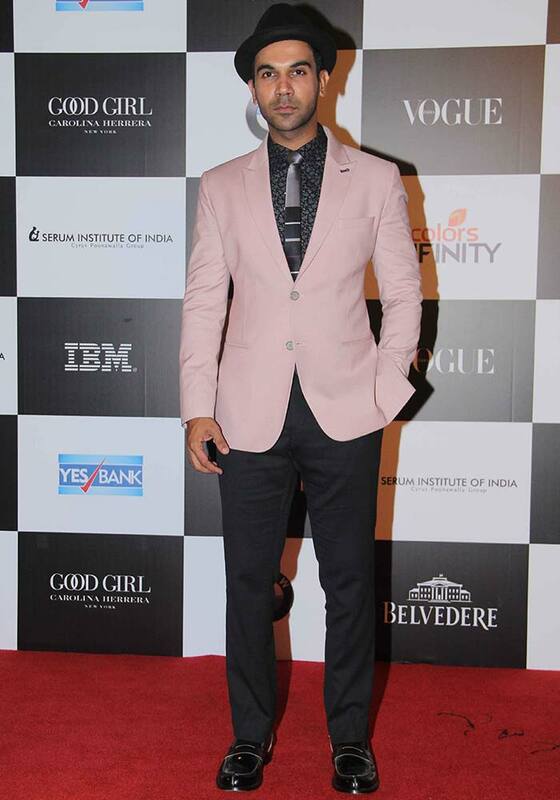 Karan Johar won the Vogue Man of the Year award. Sonam Kapoor looked drop dead gorgeous in an emerald green gown. The 32-year-old actress received the Vogue and IWC Fashion Icon Of The Year award from her father Anil Kapoor. Anushka Sharma looked lovely in a gown by Falguni Shane Peacock India. The actress won the Vogue and BMW Game Changer of The Year Award. 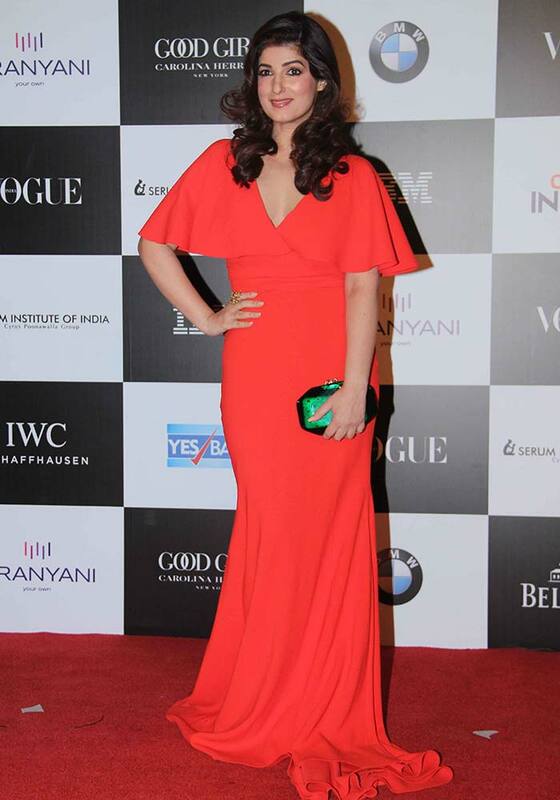 Actress-turned-author Twinkle Khanna looked gorgeous in a red dress. She won the Vogue Opinion Maker of the Year. 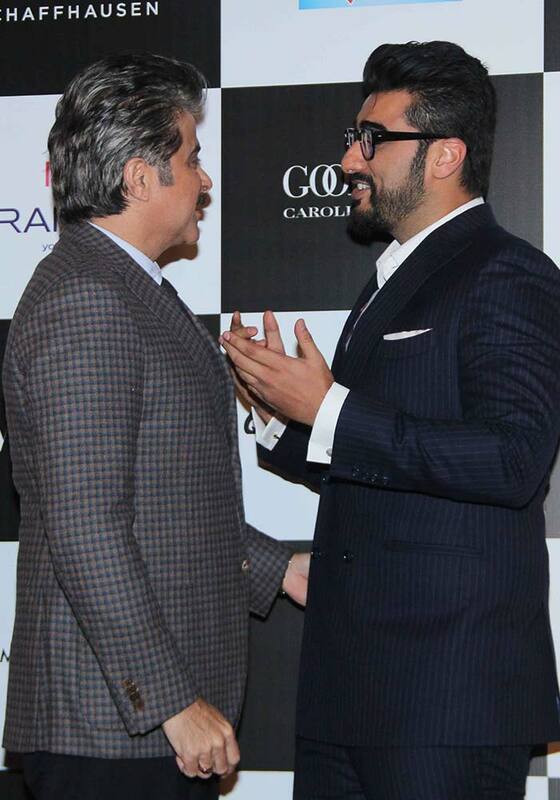 The paparazzi caught Anil Kapoor in a candid moment with his nephew-actor Arjun Kapoor and his Chocolate co-star Arshad Warsi. Kriti Sanon slayed the red carpet in an all-black outfit. 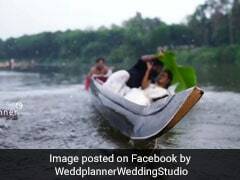 Well, everyone seems to have had a gala time at the event. Whom do you think is the best dressed? Please tell us in the comments below.